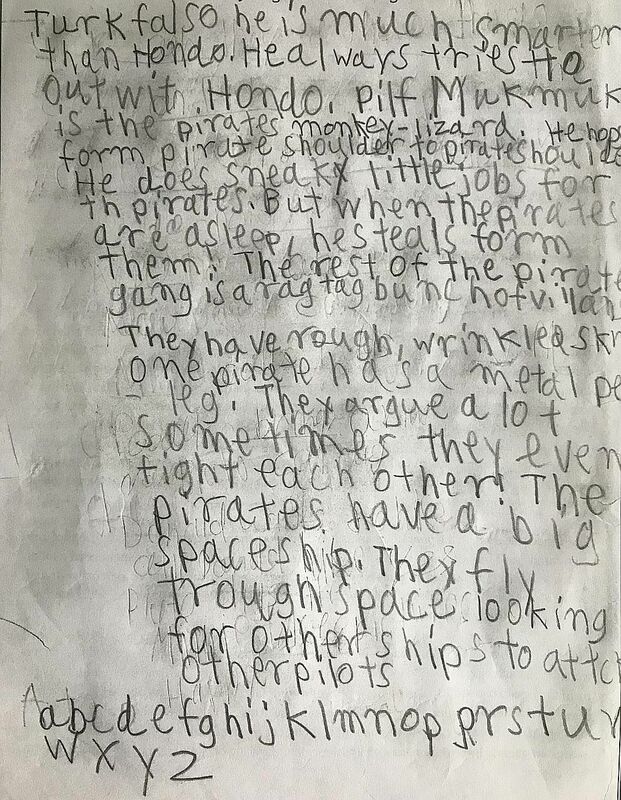 Can good handwriting boost a child's confidence? Eight-year-old Jordan Justin's handwriting used to be so untidy he could not read what he wrote. His mother struggled, too, and after receiving feedback from his teachers about the difficulty reading his work, she enrolled him in a handwriting improvement class. Offered by Write2Win, an enrichment provider that focuses on handwriting, the class teaches children how to form letters and pay attention to the size of words, word spacing and margins. It is suitable for children aged six and older and takes about three weeks to complete. Jordan's handwriting improved by "90 per cent" after 21 sessions, says his mother Mary Rajini, an IT manager in her 30s. "Now everyone can understand what he writes. Before, the spaces between his words were irregular and he did not start sentences at the margins. Now, there is uniformity for each and every letter and his writing is very readable and presentable." She is married to an IT professional and the couple have an elder son aged 13. There are now at least four providers offering handwriting improvement classes in Singapore. Their courses last from five days to 21 sessions, targeting ages four to 14. The cost for such classes can range from $150 for a one-on-one session to $800 for an entire course. The providers believe good handwriting helps children make a good impression in school and boosts their confidence. 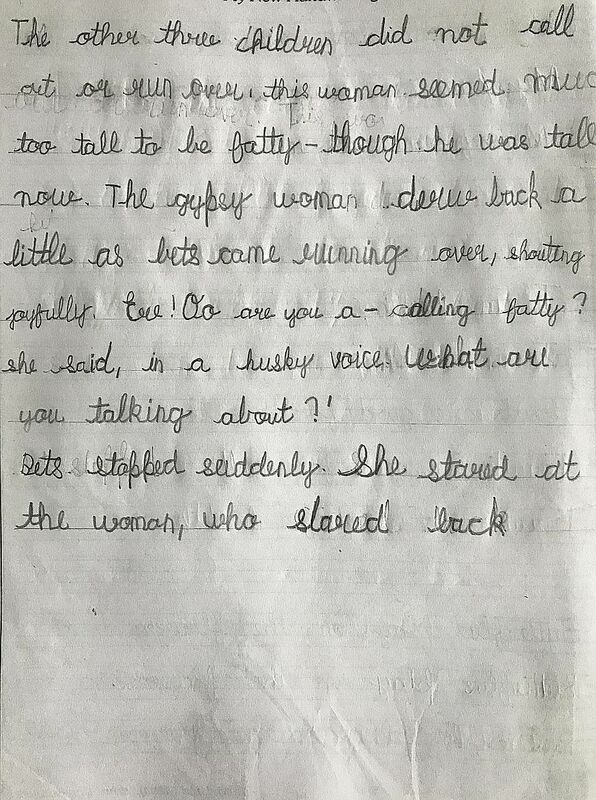 Write2Win founder Nidhi Gupta, 40, says: "If writing is illegible, cluttered, sloppy or disorganised, even if the child gives correct answers, due to a lack of legibility, the teacher may misunderstand some words and the child may lose marks." One reason for poor handwriting is that children type instead of write, says Ms Yael Sasson, director and senior occupational therapist at Dynamics Therapy Centre For Kids, whose services include handwriting classes for both mainstream children and those with special needs. "Typing or using a touchscreen is a different skill from holding a pencil and applying pressure. That could be among the reasons for handwriting issues, in addition to poor pencil grip, poor fine motor skills, feeling fatigue while writing, or difficulties in sitting upright (to write)." While some parents want their kids to improve their handwriting, child development experts question the necessity of such enrichment programmes. Ms Nur Jihan Jamil, a lecturer specialising in early childhood education at Temasek Polytechnic's School of Humanities & Social Sciences, says such classes are not necessary before Primary 1. What is more important is developing the child's fine motor skills, which involve the use of small muscles in the fingers and hands. Most preschool centres, she adds, already provide activities involving these skills, such as playing with dough or cutting paper. In fact, we might be getting kids to write too early these days, says Ms Tan Jia Xuan, a senior occupational therapist at the National University Hospital Rehabilitation Centre. Some children are asked to write properly from the age of three, when parents should be concerned with "pre-writing skills", such as fine motor skills as well as gross motor development, which are acquired through activities such as outdoor play. But there are conditions whose symptoms include difficulties with handwriting, Ms Tan adds. These include dyslexia, which is associated with reading and writing difficulties; dyspraxia, which affects coordination; autism and attention deficit hyperactivity disorder. Still, anxious parents preparing their children for Primary 1 nonetheless find handwriting classes beneficial. Mr Adrian Ng and his wife Joyce Wong, both 42, enrolled the youngest of their three children, six-year-old Daven, in a five-day handwriting course by Handwriting Intelligence. It came with worksheets for the child, which he did for several months after the course ended. Ms Wong, a stay-at-home mum, says that while she is able to teach Daven the proper strokes for Chinese characters, she opted for a handwriting class for him because she did not feel confident teaching him how to form letters correctly in English. Daven no longer has issues with word alignment and letter size, says his father, who is self-employed in the haberdashery trade. For children already enrolled in a range of enrichment classes, a handwriting class might just add to their academic pressure. But if he or she understands the need for such classes, the experience tends to be more fruitful, says Dr Dora Chen, head of early childhood education programmes at the Singapore University of Social Sciences. She adds: "Instead of making the child do something according to our will, we should take a step back to consider how to help the child see the need to do it." Ten-year-old Aditya Bhatnagar, who took a handwriting class with Write2Win last year, initially wondered why he needed it. His mother Shuchi Bhatnagar, a freelance events consultant in her early 40s, enrolled him because his handwriting was not very neat when he hurried through his work, though it was far from illegible. After learning how to form the right strokes during the programme, Aditya says his efforts have paid off. He says: "Now, even when I'm in a rush, I can write more neatly than before. I got a compliment from my teacher that my handwriting is better than hers."